Growing up, I remember being served large portions of rice and beans and being told that I had to finish eating everything on my plate. Although growing up I was very athletic, my weight continued to increase. Around age 13 I knew that my weight could no longer be seen as “baby fat.” I dealt with the teasing and the name calling in stride; I took everything as a joke and I was very rebellious and headstrong. By high school, I weighed 200 pounds and started my first diet. I tried every crash diet available and lots of over-the-counter diet pills that supposedly curb one’s appetite. Yes, they did work, but I was unhealthy, sick for the majority of the time and unhappy. I became anemic. I started having heart palpitations because a lot of the products I was using were loaded with an unhealthy amount of caffeine. I did not have the energy to do anything. All I wanted to do was sleep. One thing that these crash diets never mention is that once you stop using the product, you quickly gain the weight back, plus some. I did. I had never realized how heavy I really was, and no one really told me that I was gaining weight. Maybe I was just in denial. I enjoyed eating out, I partied a lot and I smoked cigarettes. I had borderline cholesterol problems, high blood pressure and I felt unhappy with myself. Breaking Point: One day, I just woke up feeling so sluggish and unhappy that I decided enough was enough. First, I stopped smoking cold turkey. Next, I did the hardest thing imaginable for me: I weighed myself. 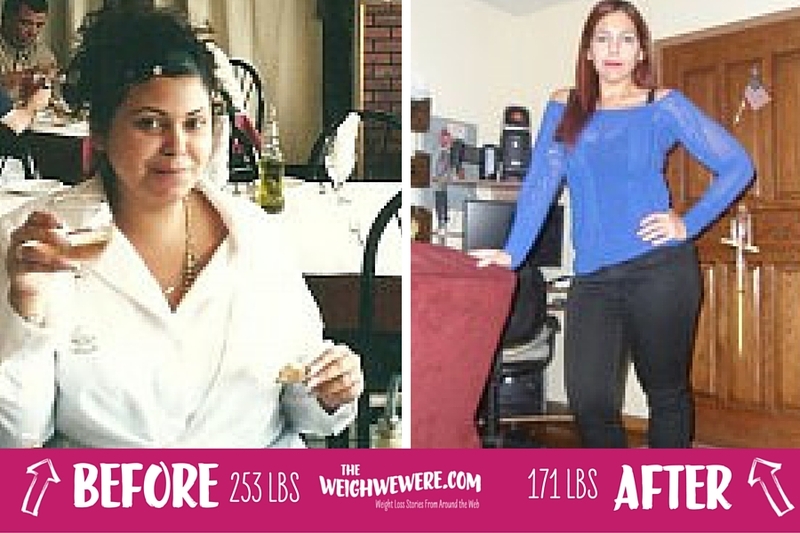 I cried for days when I read the scale; I weighed 253 pounds. After a few days of crying and eating for comfort, I gathered myself together and mentally and emotionally shook myself out of the stupor I was in and decided I was not going to be like the typical person who quits smoking and gains a lot more weight. I was determined to be different! 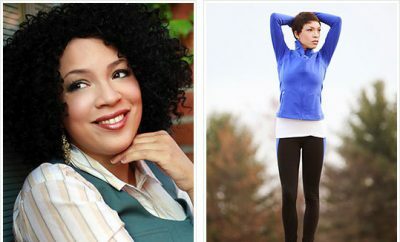 How I Lost It: In 2009, I set a goal for myself — to lose 40 pounds by the end of year by eating healthy and exercising. I cut from my diet bread, rice, beans and red meat and became very conscious of the nutritional value of the foods I was eating. I decided to join a gym and exercised for 20 minutes, twice a week. I slowly increased my exercise routine to three to four times a week after a few months. I noticed a difference in my appearance and in my stamina. At the gym, I met great people who were very encouraging. By the end of the year, I weighed 204 pounds. My hard work was paying off! For the next six months, I lost nothing. No matter what I did, what I ate and how much I exercised, I could not lose any more weight. But I didn’t let the fact that I was not losing any more weight deter me. I continued going to the gym religiously and joined cardio classes. I realized that in my goal to lose weight, I was actually enjoying exercising and my body was craving it. My determination to lose weight and get myself into shape was noticed by a personal trainer, Reno “The Body.” One day, he took me aside and spoke to me very honestly about my efforts. He congratulated me on my success but also pointed out that my body needed a change since I had plateaued in my weight-loss mission. I knew that Reno would not let me get away with any nonsense, but at the same time he was understanding and patient. At first I was somewhat intimidated to have this very nice guy with quite a physique train me, because I felt inadequate. But I knew that if anyone could help me in my mission to lose weight and get into shape, it would be him. Throughout my training with Reno, I kept thinking to myself, “What the hell did I get myself into?” But after surviving my first session, I realized that Reno was very understanding and patient, encouraging and, when it called for it, a little tough — just what I needed. By the summer of 2011, I was down to 184 pounds. I remember being so proud of myself because it was the first time that I was doing something for myself that made me feel great! Enjoying the results of my weight loss and how my body was really toning, I decided to increase my training sessions with Reno to twice a week. He makes the training sessions challenging, helping me develop and tone my body, but at the same time really listening to my needs and the “problem areas” that I wanted to focus on. I also started drinking protein powder after my workouts to provide me with the nutrition that my body needs after a hard workout. 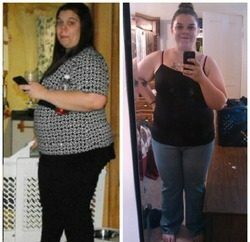 By November 2011, I lost an additional 13 pounds and I was down to 171 pounds. Now, I can honestly say that I have so much energy and my body is really taking a different shape, one that I never experienced before that I look forward to continuing my experiences with training and in life. 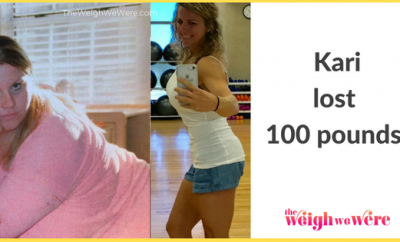 ← Previous Story How I Lost Weight: Nieta Loses 65 Pounds After 10 Years Of Trying!